The lumbar spine consists of five vertebral bones that are subsequently attached to the sacrum. The lumbosacral spine is responsible for supporting a majority of the body’s weight and is meant for protecting the underlying nerves and nerve bundles that arise from the spinal cord. The lumbar vertebrae are five separate vertebral bones that are attached to each other to ligaments and cartilage. Beneath the lumbar vertebrae is the sacrum, which has five vertebrae as well, though these are already fused to each other. Sometimes, the top of the sacrum, that is, S1 (first sacral vertebrae) can be separate from the rest of the sacrum and can appear to be a part of the lumbar spine. This is known as lumbarization of the spine and here we will discuss this in a little more detail. What is Lumbarization of the Spine? Lumbarization is actually a congenital abnormality, meaning it is present in an individual from birth. Here, the first sacral vertebra is not fused to the rest of the sacrum. Due to this, it appears that there are six lumbar vertebrae and only four sacral vertebrae. Lumbarization of the spine can lead to certain clinical symptoms that can limit a patient’s movement and cause pain. Typically, patients with lumbarization of the spine can experience pain during movement. This can cause a great deal of difficulty when performing activities of daily living. How is Lumbarization of the Spine Diagnosed? Lumbarization can be diagnosed through simple tests such as an X-ray of the spine. Both a front view and a side view of the lumbosacral spine are essential to make an accurate diagnosis. However, in obese individuals the spine may not be clearly seen through X-rays and a more intricate scan such as a CT scan may be helpful. MRI scans can help determine whether any nerve involvement has occurred. In the first instance, over-the-counter painkillers and non-steroidal anti-inflammatory drugs may be helpful. However, if they do not help, nerve block injections with the use of a local anesthetic may provide some temporary relief. Occasionally, the anesthetic may be combined with a steroid, as this has anti-inflammatory properties and can provide additional analgesic effects. Another therapy that exists is called prolotherapy. Here, an irritant substance is injected into the area where lumbarization has occurred and this stimulates the formation of scar tissue. The scar tissue can destroy the nerves that are responsible for the pain and can help reduce discomfort when moving. Surgical options are also available and can include fusion of the separated vertebra. However, success rates are variable and this option is only pursued if long-term outcomes are believed to be in favor the patient. 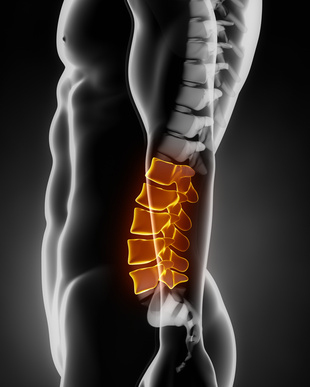 Lumbarization of the spine is a painful condition that has numerous treatment options. Given it is a congenital condition, it can be diagnosed early and treatments can be pursued before it is too late.